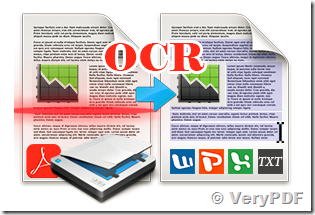 ← How to convert scanned PDF file to editable Word document by PDF to Word Converter? Its me again. This time I am working with a different client? I was wondering if you have a tool that can OCR existing pdf file with images in batch from command line ? If so can you quote me and send a link to trial version? Thanks for the response. Apologies for late feedback. We have started evaluating ocr_to_any command. It is working fine for most part however some scenarios it does not work. 1. When the PDF document is in landscape mode, it does not add OCR layer unless we specify that document is in Landscape mode. We are trying to automate the process for our customer so we don’t know up front if the document is in portrait mode or landscape mode. Is there any way to automate that? 2. Is there a COM or .NET api for OCR_to_ANY - We are using in a ASP.NET application so the process is slow when we launch the command prompt from the app. >>1. 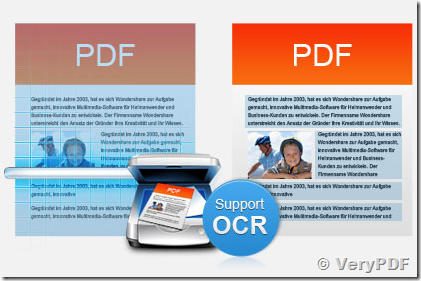 When the PDF document is in landscape mode, it does not add OCR layer unless we specify that document is in Landscape mode. We are trying to automate the process for our customer so we don’t know up front if the document is in portrait mode or landscape mode. Is there any way to automate that? >>2. Is there a COM or .NET api for OCR_to_ANY - We are using in a ASP.NET application so the process is slow when we launch the command prompt from the app. Thanks for your message, we haven't a COM or .NET API yet, however, we can develop a COM interface to you at additional cost, please feel free to let us know if you are interest in this solution. 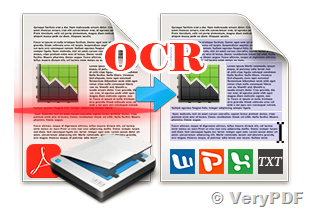 This entry was posted in OCR Products and tagged ocr pdf, OCR to Any, ocr to doc, ocr to excel. Bookmark the permalink.